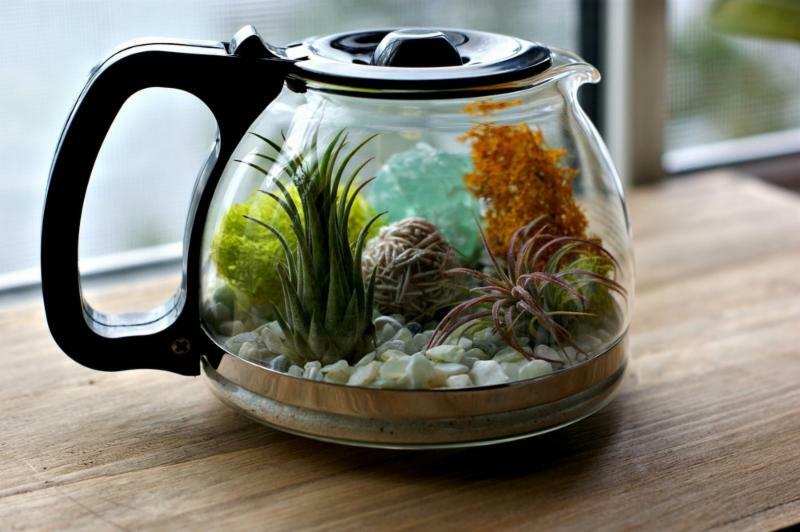 We came across a great blog on how to create a coffee pot terrarium. You can read the full article by clicking on this link. If you want to skip to the good part, here are the directions from the blog. Fill your container with about an inch of sand. Then scatter some river rocks over the sand (pile them on heavier in the back for added height). Next, pace the moss over the rocks in the back and work from back to front. The plants were placed in front so they have the best view, with the gemstones between them. As you can see, it turned out great! 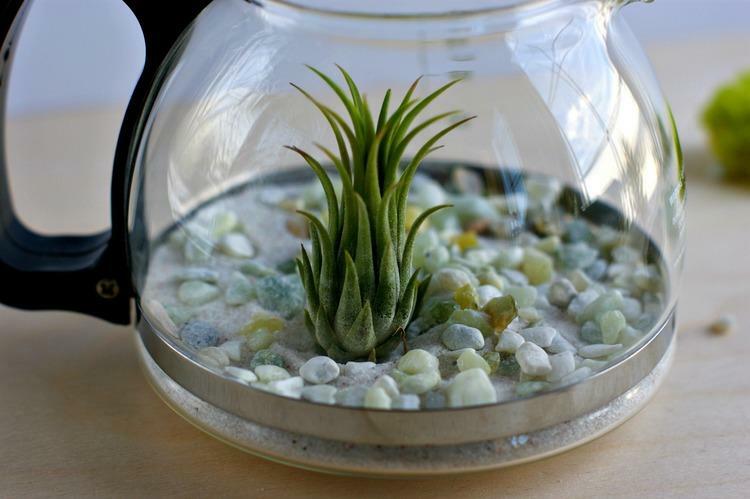 Are ready for a terrarium and live plants in your work space but do not want to do it yourself? Contact Everything Grows today to have one of our in-house designers visit your office for a complimentary consultation and design proposal to help make your space come alive with plants! Everything Grows gets its beautiful indoor plants from California, Hawaii, and Florida. 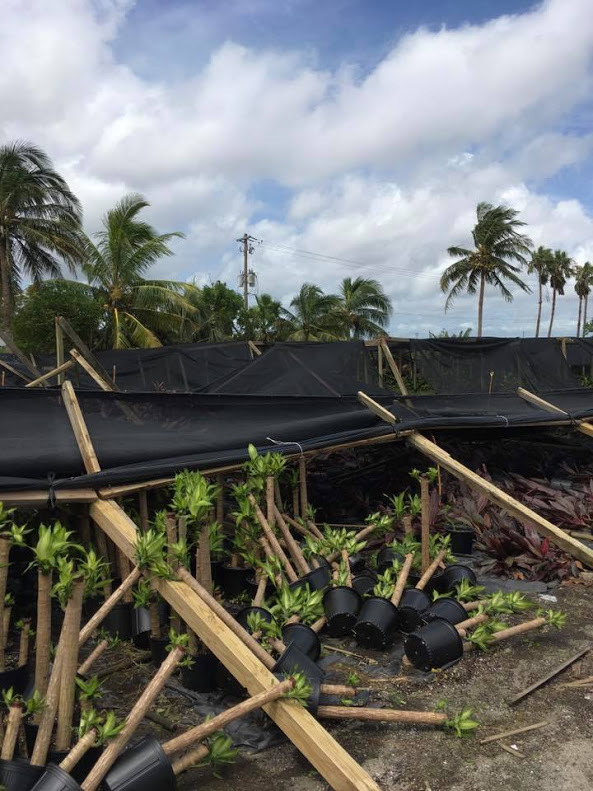 Hurricane Irma impacted many of the nurseries in Florida - some have major damage, others very little. 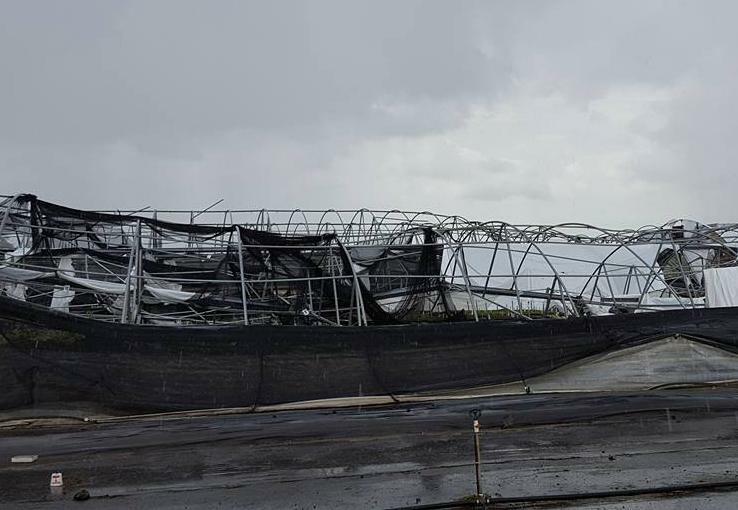 Overall, the damage was less than was expected because of the western path that Irma took as it crossed into Florida. If the "eye" had veered more towards Miami and then hugged the Eastern coast of Florida, the damage would have been much more significant. Nevertheless, most of the nurseries do not have power and are working overtime to clean up fallen plants. They are also busy making repairs to their shade cloth structures so that their plants that they did save are not damaged by direct exposure to the sun. It is really a race against time at this moment. 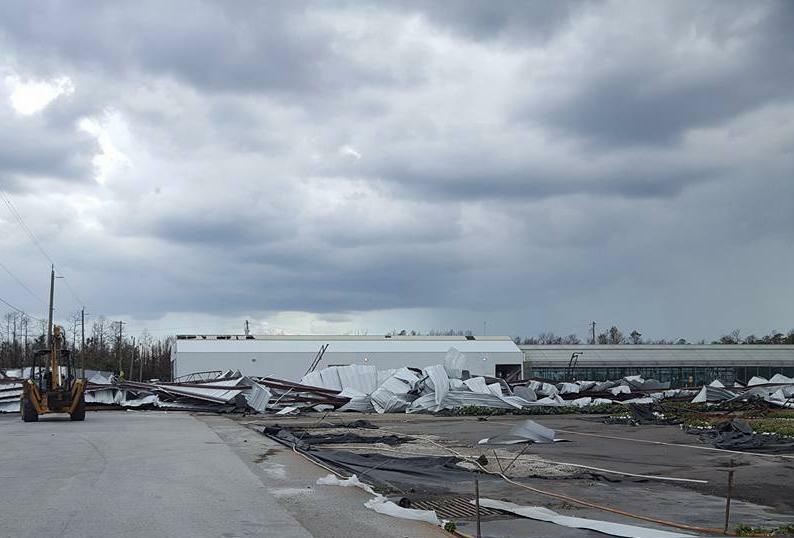 Going forward, we anticipate that Florida supply will be under pressure the rest of the year and into next year as some nurseries rebuild and start new stock. We may see shortages and/or price increases in some plant varieties. Meanwhile, We will do everything we can to assure the best plants available for our indoor plant customers. Don't let the hurricane damage stop you from putting lush beautiful plants in your office space! Contact Everything Grows today to have one of our in-house designers visit your office for a complimentary consultation and design proposal to help make your space come alive with plants. We still have plenty of wonderful grade A commercial plant specimens available! Modern open space offices with polished concrete floors are the in thing right now, but it can feel a little cold. 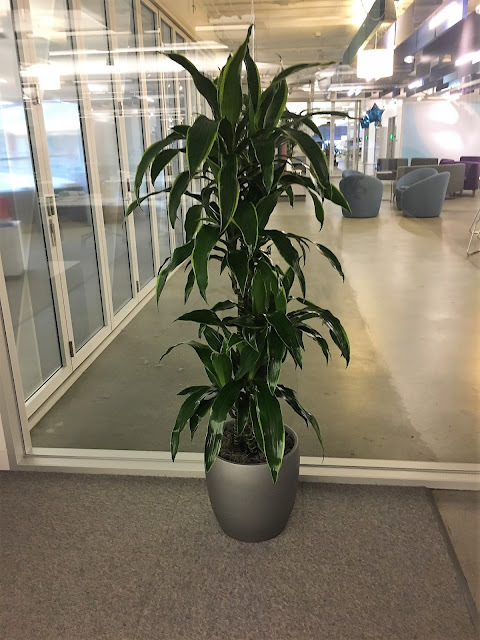 Selecting the right locations and mix of live indoor plants can really warm up the modern office environment with the added benefit of filtering the air and absorbing noise. 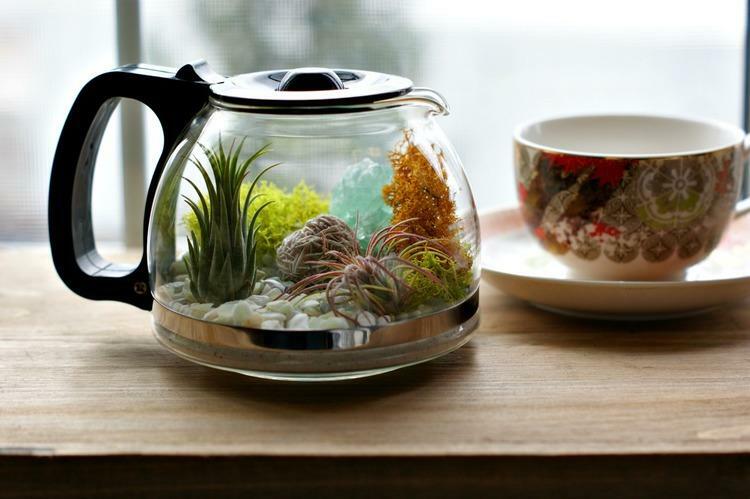 Are you ready for plants to warm up your workspace? Contact Everything Grows today to have one of our in-house designers visit your office for a complimentary consultation and design proposal to help make your space come alive with plants! 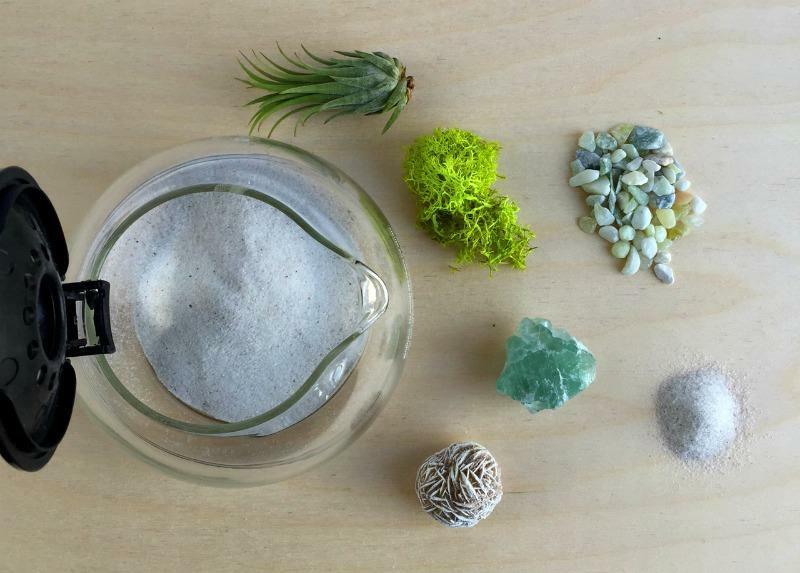 Are you ready for Earth Walls for your workspace? Contact Everything Grows today to have one of our in-house designers visit your office for a complimentary consultation and design proposal to help make your space come alive with plants!